Over the past few days at Conference I have been able to meet with a great number of businesses, charities and organisations. Just one of them was the Polcie Federation who I have been working closely with to ensure our police get the support and resources they need. 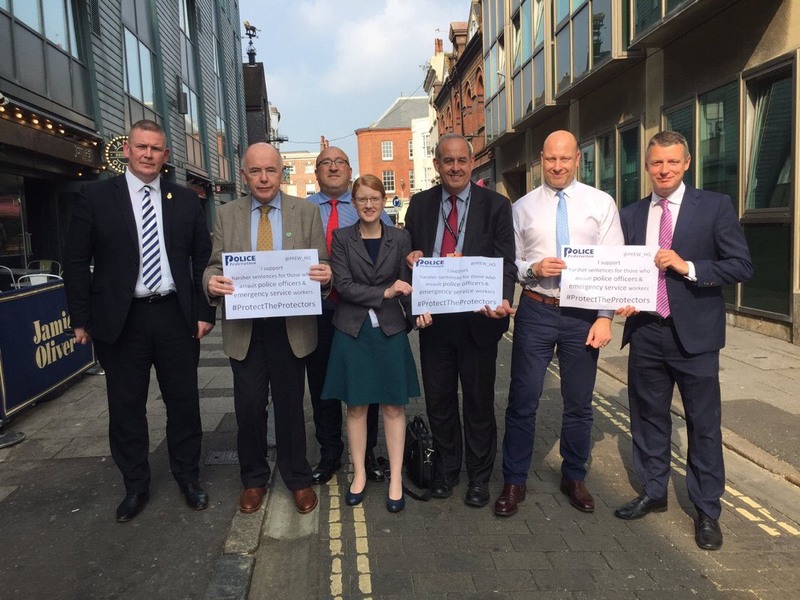 As you know, I have been camapaigning against the police officer cuts that have been imposed over the last seven years – 138 officers have been cut in North Wales alone. At this meeting I was able to pledge my support for a Bill to protect those who protect us: which includes police officers, nurses, doctors and firefighters to name but a few. It is important that we have zero tolerance towards agression to those who are caring for our community and this Bill would be a great step towards securing that future. 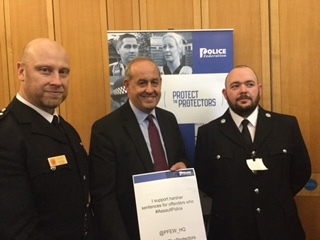 Yesterday, I attended a presentation by the Police Federation on the impact of assaults on the police and all other emergency workers.